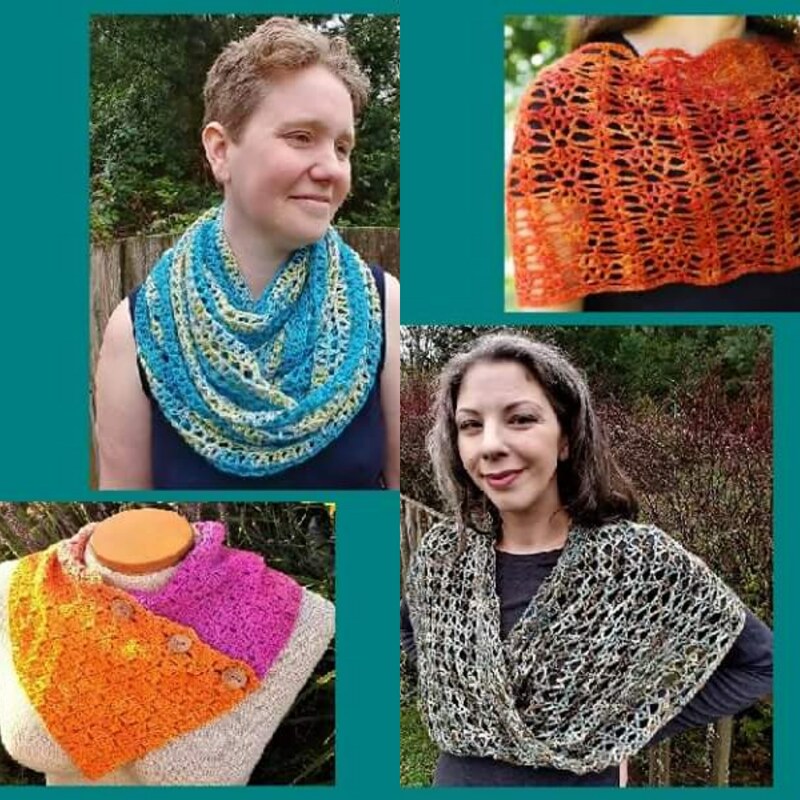 I am thrilled to be a part of Moogly's year long Crochet Along again this year! Each year it is so fun to see all of the different patterns from other designers, not to mention the creative color combinations people use for their Moogly2019CAL Blankets. This is my third year designing a square for the CAL, and I decided to try something a little bit different. Enjoy! 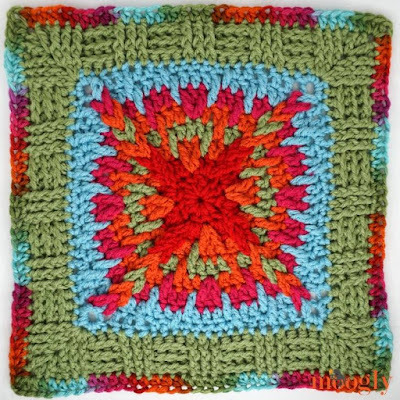 Get spun with this fun and colorful Pinwheel blanket square. Each petal is worked out from a center ring, then back in to opposite direction without turning to form the raised edges. The reverse single crochet edge is worked into the front loop only, leaving the back loop to stitch into for the next petal. This idea may have you spinning, but follow the instructions step by step and give it a try! (Scroll to bottom for link to get printable PDF). 4 colors Worsted Weight yarn and J hook (or hook to get gauge). Color suggestions A (darkest), B (medium), C (higher contrast), D (neutral). 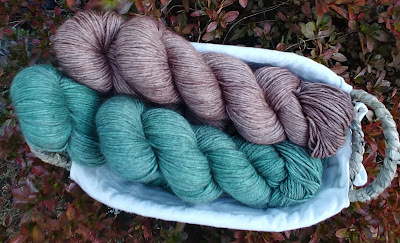 in Peacock, Cornsilk, Lettuce, and Taupe. GAUGE 12 stitches by 7 rows = 4” by 4”. Changing Colors: Work previous stitch up to last yarn over, yarn over to with new color, pull through last two loop, drop old color to back of work and continue with new color. Double crochet 2 together (dc2tog): *Yo, insert hook into next dc, yo, pull up a loop, yo, pull through 2 loops; Repeat from *, yo, pull through all 3 loops on hook. Half double crochet 2 together (hdc2tog): Yo, insert hook into next ch-1 sp, yo, pull up a loop (3 loops on hook), yo, insert hook into next dc, yo, pull up a loop, yo, pull through all 5 loops on hook. Half Treble Crochet (htr): Yo 2 times, insert hook into next st, yo, pull up a loop, yo, pull through 2 loops, yo, pull through remaining 3 loops on hook. Reverse Single Crochet (revsc): Without turning your work, working from left to right (or right to left for left-handed crocheters), insert hook in the next stitch (under your hook), yo, pull up a loop without twisting the hook, yo, pull through both loops on hook. Single Crochet 3 Together (sc3tog): [Insert hook into next st, yo, pull up a loop] 3 times, yo, pull through all 4 loops on hook. Treble Crochet 3 Together (tr3tog): *Yo 2 times, insert hook into next st, yo, pull up a loop, [yo, pull through 2 loops] 2 times; Repeat from * 3 times, yo, pull through all 4 loops on hook. Reverse single crochets form the raised “crab stitch” edging of each Petal. 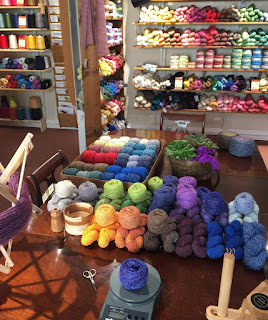 They are worked from left to right (or right to left for left-handed crocheters). Recommended to place a stitch marker in the unused back loop of the last treble crochet stitch so make it easier to find on Rnd 1 of the Square. Each time you change colors on the Pinwheel, flip unused colors of yarn up under the hook, between the hook and working yarn. 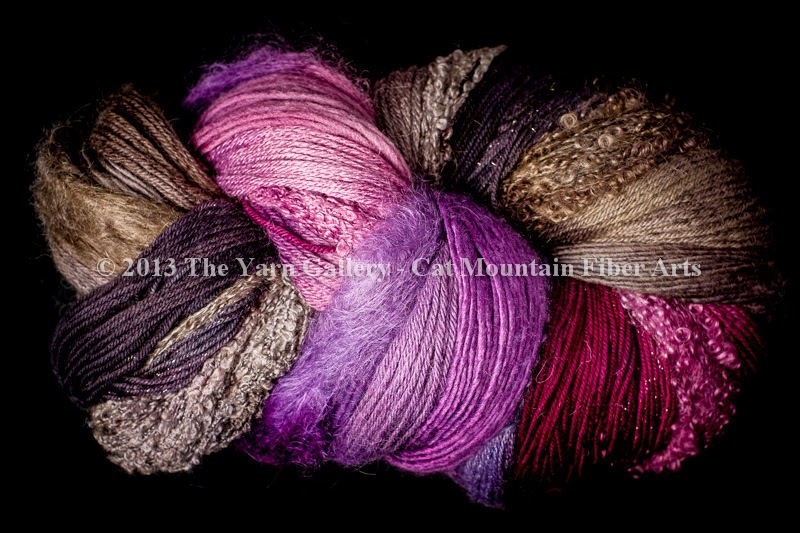 This will bring the yarn up so the new color is ready to join on the next Petal. The first sc of each Pinwheel Petal is worked in the previous color, making it easier to find the first stitch to work into for the next Petal. If you have trouble finding the center of the ring, or the first or last stitches on a petal or round, place a stitch marker in the stitch when you first make it. First Petal: Join with sl st in 4th ch from hook to form ring (place stitch marker in center of ring), work into remaining chs, sc in next ch, hdc in next ch, 2 hdc in next ch, dc in next ch, 2 dc in next ch, htr (see Special Stitches) in next ch, 2 htr in next ch, tr in next ch, 2 tr in next ch, tr in last ch, place stitch marker in back loop of last tr made; Do not turn, working back in the other direction, revsc (see Special Stitches) in the flo (front loops only) of each stitch across to ring (14 revscs), sl st in center of ring, do not turn. Next Petal: Working in unused back loops (blo) of previous petal, sc in first sc changing color to B (see Special Stitches), hdc in next hdc, 2 hdc in next hdc, dc in next hdc, 2 dc in next dc, htr in next dc, 2 htr in next dc, tr in next htr, 2 tr in next htr, tr in next htr, leave remaining 4 sts unused; Do not turn, working back in the other direction, revsc in the flo of each stitch across to ring (last stitch will be in prev color), sl st in ring, do not turn. Repeat “Next Petal” instructions for 10 more Petals. Change to color C for third Petal, then alternate colors A, B, and C around for a total of 12 petals. Joining Petals: Fold Petals so front (or right) sides of first and last petal are facing together. Join petals together by slip stitching through both the back loop of Last Petal and unused loops of beginning chain on First Petal, keeping slip stitches on the back (or wrong) sides. Finish off all three colors. If loops are getting too loose when working only into the back loop, pull up on ridge of revscs. This will pull up the front loops they were worked into, tightening back loops so the holes do not seem as big. 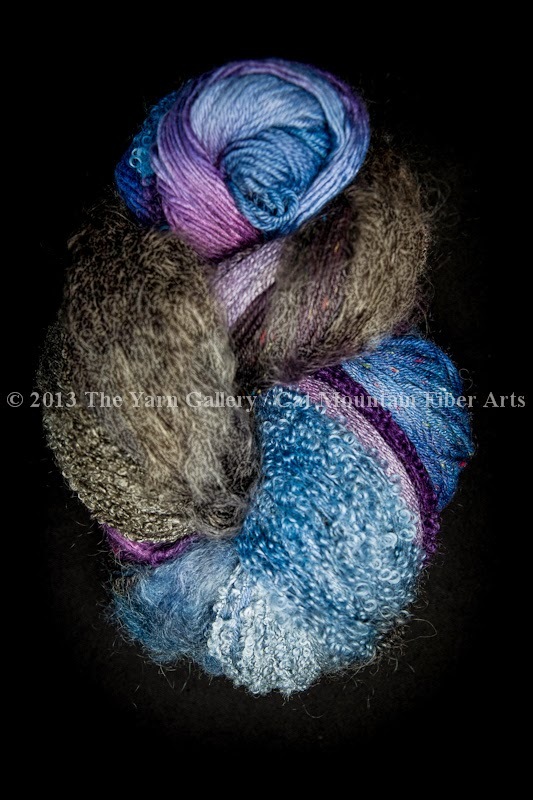 The back loop of the last treble on each petal may be difficult to find unless you used stitch markers. However, you can use any loop at the top of that stitch that works for you, just be consistent. With right side facing, work into back loops of the last 5 trebles that at the ends of each Petal (behind the revscs). Rnd 1: Working into any of the color A Petals, join color D with a sc in blo of third unused tr (stitch before marker), *ch 2, sc in unused blo of next tr of same petal (see pattern notes), sk to next Petal, tr in same back loop as last tr worked into next Petal, [dc in blo of next tr, hdc in blo of next tr, sc in blo of last 2 trs, sk to next Petal, dc in same back loop as last tr worked into next Petal] 2 times, dc in blo of next tr, hdc in blo of next tr**, sc in blo of next tr; Rep from *2 more times; Rep from * to ** once, join with sl st in first sc – 60 sts and 4 ch-2 sps. Rnd 2: Ch 2 (does not count as a st here and throughout), dc in first sc, *(2 dc, ch 1, 2 dc) in ch-2 sp, dc in next 2 sts, hdc in next 2 sts, sc in next 7 sts, hdc in next 2 sts**, dc in next 2 sts; Rep from * 2 more times; Rep from * to ** once, dc in last st, join with sl st in first dc – 76 sts and 4 ch-1 sps. Rnd 3: Ch 2, dc in first 3 dc, *(2 dc, ch 1, 2 dc) in ch-1 sp, dc in next 5 sts, hdc in next 3 sts, sc in next 3 sts, hdc in next 3 sts, **, dc in next 5 sts; Rep from * 2 more times; Rep from * to ** once, dc in last 2 dc, join with sl st in first dc. 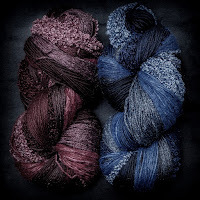 Finish off color D – 92 sts and 4 ch-1 sps. Rnd 4: Join color B with sl st in second dc made on Rnd 3, ch 2, dc in same dc as join, *3 tr in next dc, dc2tog (see Special Stitches), hdc2tog in next ch-sp and dc (see Special Stitches), [dc in next st, 3 tr in next st, dc in next st, hdc in next st, sc in next st, hdc in next st] 3 times**, dc in next dc; Rep from * 2 more times; Rep from * to ** once, join with sl st in first dc. Finish off color B – 120 sts. Rnd 5: Join color C with sc in second tr of prev rnd, 2 sc in same tr, *sc in each of next 5 sts, [3 sc in next tr, sc in next 2 sts, sc3tog (see Special Stitches), sc in next 2 sts] 3 times**, 3 sc in next tr; Rep from * 2 more times; Rep from * to ** once, join with sl st in first sc. 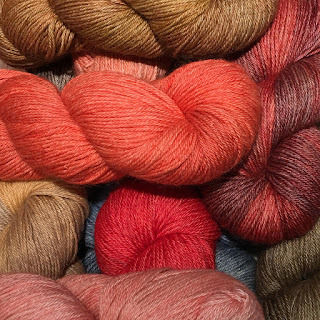 Finish off color C – 128 sts. Rnd 6: Join color A with sc in second sc of prev rnd, *hdc in next sc, dc in next sc, (dc, tr) in next sc, 2 tr in next sc, (tr, dc) in next sc, dc in next sc, hdc in next sc, [sc in next sc, hdc in next sc, dc in next sc, tr3tog (see Special Stitches), dc in next sc, hdc in next sc] 3 times**, sc in next sc; Rep from * 2 more times; Rep from * to ** once, join with sl st in first sc. Finish off color A – 116 sts. Rnd 7: Join color D with sc in first sc of prev rnd, sc in next 4 sts, 2 sc in next tr, ch 2, 2 sc in next tr, *sc in next 27 sts, 2 sc in next tr, ch 2, 2 sc in next tr; Rep from * 2 more times, sc in next 22 sts, join with sl st in first sc. 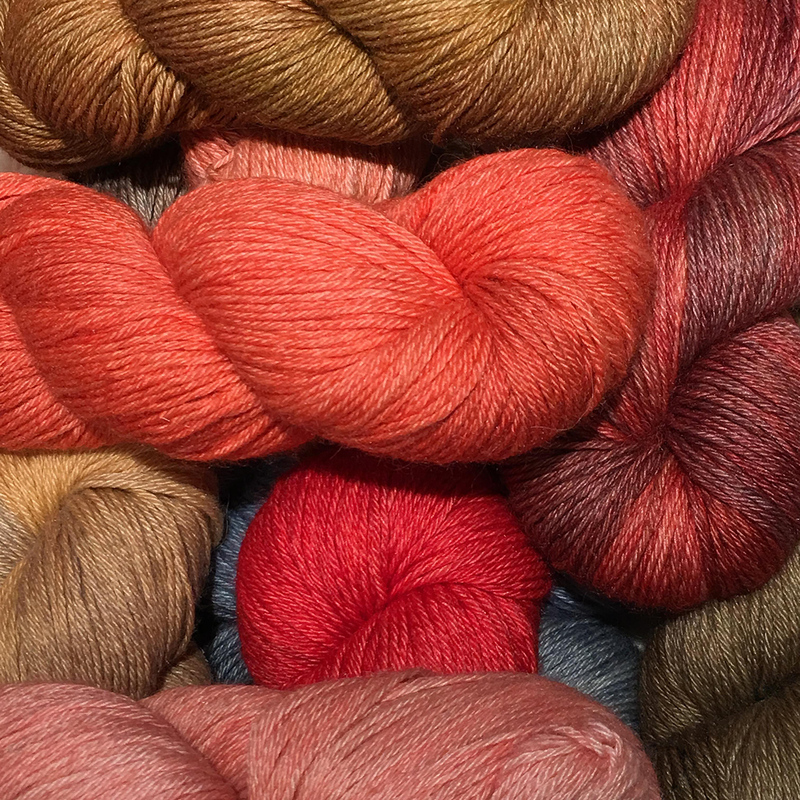 Finish off color D and weave in all ends – 128 sts. Note: If your block is not quite 12”, you can add additional rounds of sc, or replace Rnd 7 with hdc or dc around, adding a couple additional stitches at each corner. each corner. 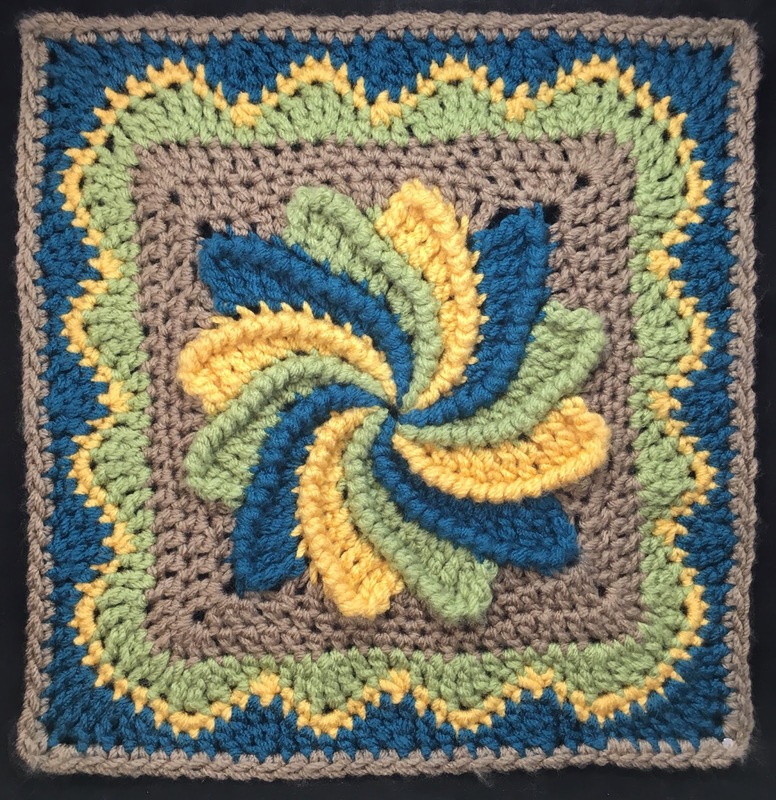 Find Moogly's blog post about the Pinwheel Square here and everything you need to know about the Moogly2019CAL here! 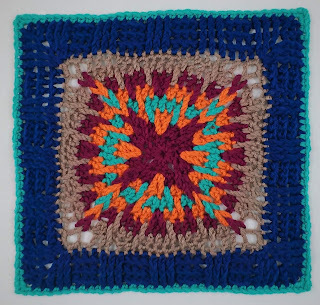 You can find a printable PDF of this pattern on Ravelry here. Now, go back and find the previous three squares and check back at Moogly every week for a new Square design from a new designer. I cannot wait to see what colors you have chosen. Have fun! Welcome to COWLtober! 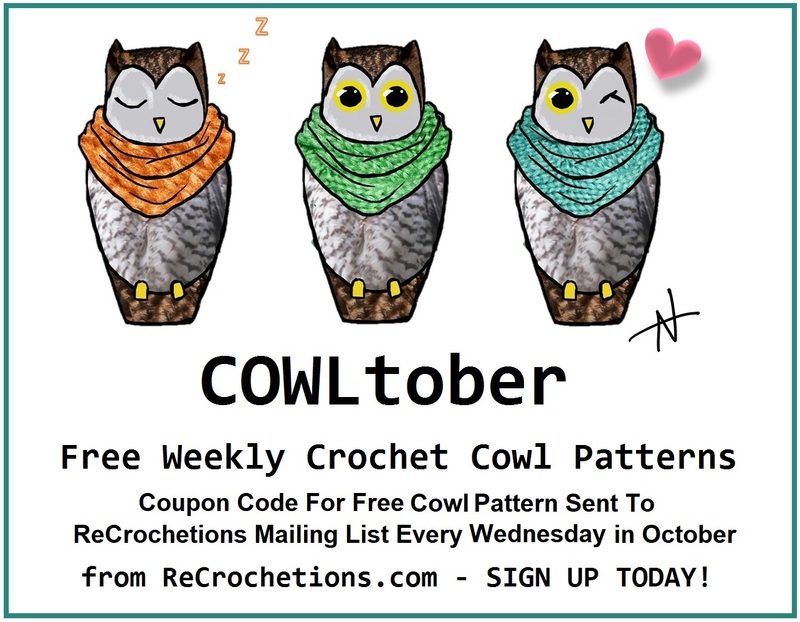 Sign up for the ReCrochetions Mailing List so you don't miss anymore of the Free COWLtober Pattern Coupon Codes which will be sent out in the ReCrochetions Newsletter tomorrow morning. Each week there will be a New Cowl and a New Coupon Code. The coupon codes will be good for 1 day only 8am on the day it is sent until 8am the following day. The cowls included this year will include a couple I designed earlier this year for 2 different Yarn Crawls, one I did for a limited kit with a local yarn dyer, one of my first designs for my Hooked on Hand Dyed pattern collection, and finally a brand new cowl pattern which will be included in my upcoming Secret Stitches Crochet Companion Book 2 (coming out later this year). Don't miss a Cowl! Sign up for my newsletter today! “Some time ago I decided that I would never buy anything but Red Heart because I can always match the colors…. 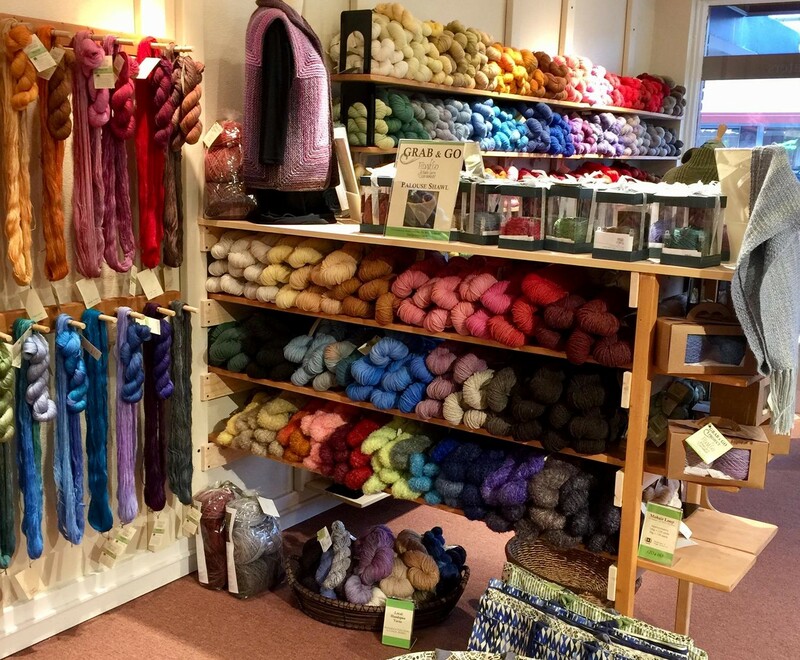 Another thing about Red Heart is the yarn is all the same weight, you buy another brand and it’s not quite what you were working with.” – Diana Smith, 92. 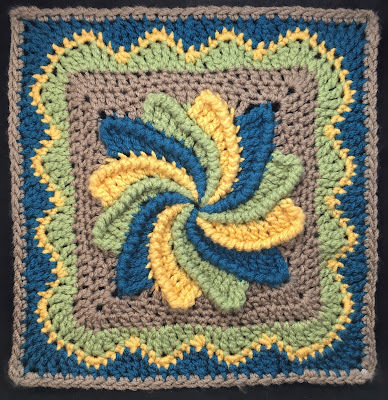 Just a few twists and turns create this fun textured square including chain loops twisted into braids, taller stitches worked into a previous row, and post stitches for a basket weave border. 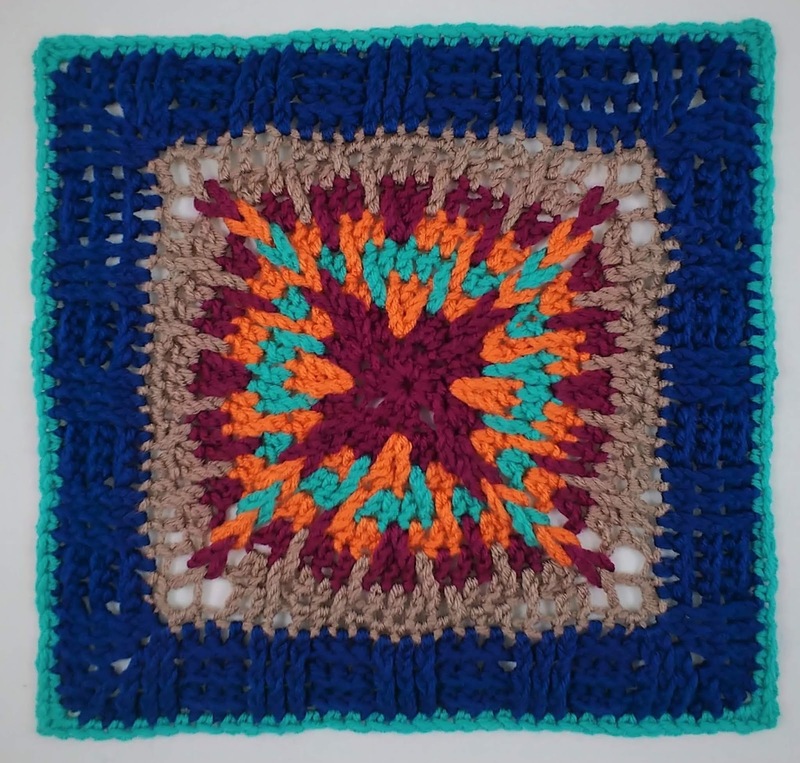 Downloadable version now available on Ravelry including Stitch Diagram. Download HERE. 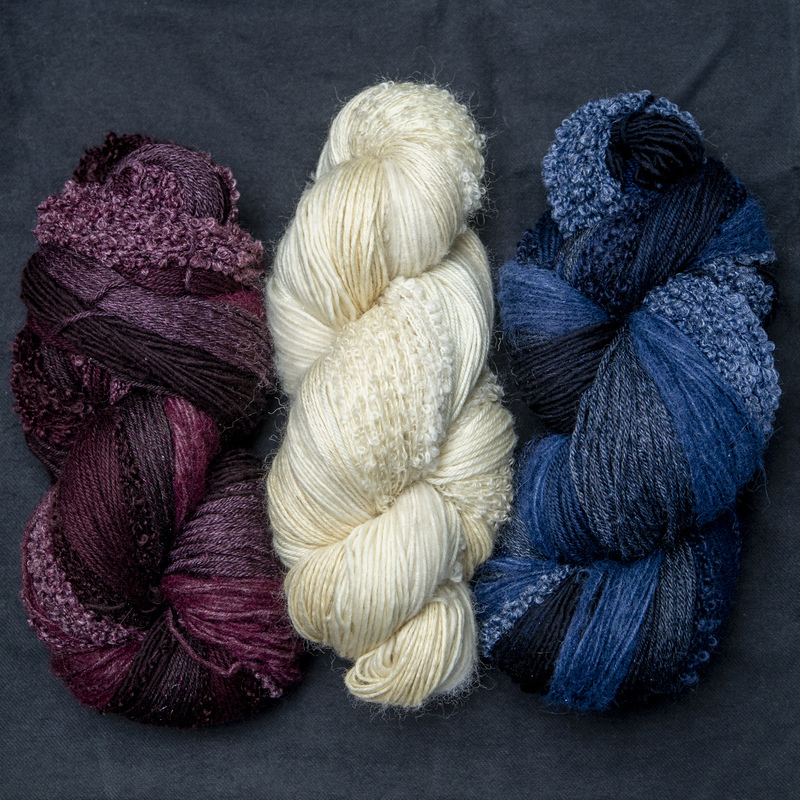 5 Colors Worsted Weight Yarn. Sample shown in Red Heart With Love 100% Acrylic yarn. Rounds 1-3 measures approximately 3 ¾” by 3 ¾”. 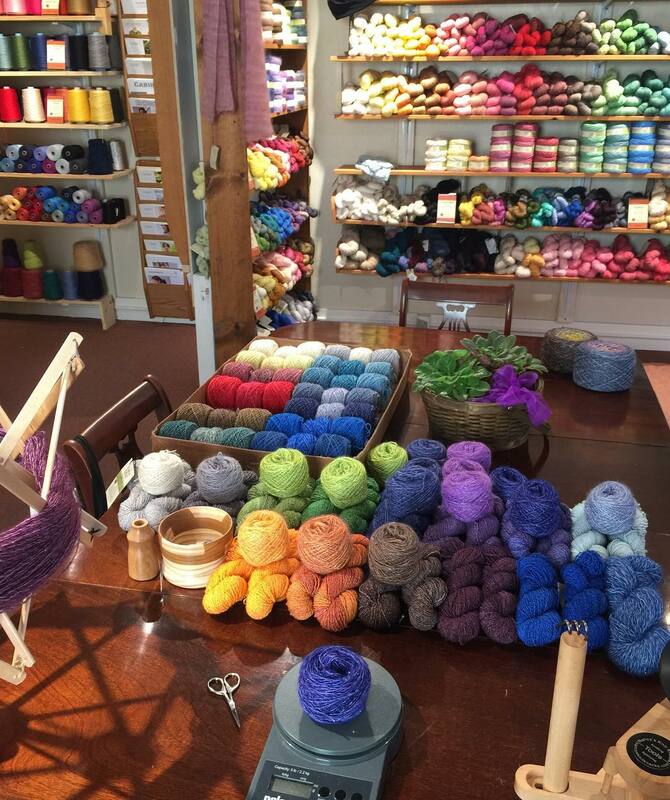 Note: You may also add additional rounds of single crochet to reach 12”. Front Post Double Crochet (fpdc): Yo, insert hook around post from front of next st, yo, pull up a loop, [yo, draw through 2 lps on hook] 2 times. Back Post Double Crochet (bpdc): Yo, insert hook around post from back of next st, yo, pull up a loop, [yo, draw through 2 lps on hook] 2 times. Front Post Double Crochet (fphdc): Yo, insert hook around post from front of next st, yo, pull up a loop, yo, draw through all 3 lps on hook. Back Post Double Crochet (bphdc): Yo, insert hook around post from back of next st, yo, pull up a loop, yo, draw through all 3 lps on hook. · Chain-8 spaces at corners will be twisted and looped together after completing Round 8, creating the raised braid at each corner. 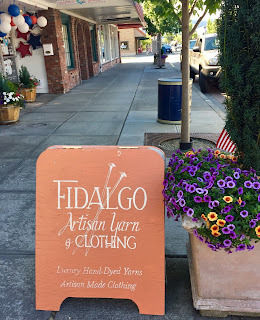 · Taller stitches are worked 2 rounds down, into stitches that were skipped on the previous round. Insert hook keeping the hook in front of the stitches worked on the previous round so yarn overs do not wrap around the stitches of the round above. 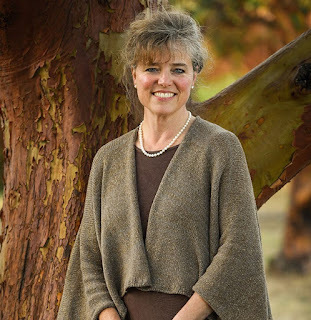 · Inserting hook from back to front at the end of ribbing rows allows you to work around the beginning chain, bringing the chain forward to create the look of a front post stitch. With Color A, ch 4, join with sl st in first ch to form a ring. Rnd 1: Ch 3 (counts as first dc here and throughout), 2 dc in ring, [ch 8, 3 dc in ring] 3 times, ch 8, join with sl st in top of beg ch – 12 dc, 4 ch-lps. Rnd 2: Ch 3, dc in same st as join, [*sk next dc, 3 dc in next dc, ch 8**, 2 dc next dc] 3 times; Rep * to ** once, join with sl st in top of beg ch – 20 dc, 4 ch-lps. Finish off Color A.
Rnd 3: Join Color B with sl st in same st as join, ch 3, dc in same st as join, [*tr in skipped dc from Rnd 1, sk dc behind tr, dc in next dc, tr in same dc from Rnd 1 as prev tr, sk dc behind tr, 2 dc next dc, ch 8**, 2 dc next dc] 3 times; Rep * to ** once, join with sl st in top of beg ch – 28 sts, 4 ch-lps. Finish off Color B.
Rnd 4: Join Color C with sl st in same st as join, ch 3, dc in same st as join, [*tr in skipped dc from Rnd 2, sk dc behind tr, dc in next 3 sts, tr in next sk dc on Rnd 2, sk dc behind tr, 2 dc next dc, ch 8**, 2 dc next dc] 3 times; Rep * to ** once, join with sl st in top of beg ch – 36 sts, 4 ch-lps. Finish off Color C.
Rnd 5: Join Color B with sl st in same st as join, ch 3, dc in same st as join, [*tr in skipped dc from Rnd 3, sk dc behind tr, dc in next 2 sts, sk next dc, 2 dc in next dc, dc in next tr, tr in next sk dc on Rnd 3, sk dc behind tr, 2 dc next dc, ch 8**, 2 dc next dc] 3 times; Rep * to ** once, join with sl st in top of beg ch – 44 sts, 4 ch-lps. Finish off Color B.
Rnd 6: Join Color A with sl st in same st as join, ch 3, dc in same st as join, [*tr in skipped dc from Rnd 4, sk dc behind tr, dc in next 2 sts, tr in next sk dc on Rnd 4, sk dc behind tr, dc next dc, tr in same dc from Rnd 4 as prev tr, sk dc behind tr, dc next 2 sts, tr in next sk dc on Rnd 4, sk dc behind tr, 2 dc next dc, ch 8**, 2 dc next dc] 3 times; Rep * to ** once, join with sl st in top of beg ch – 52 sts, 4 ch-lps. Finish off Color A.
Rnd 7: Join Color D with sl st in same st as join, ch 3, dc in same st as join, [*tr in skipped dc from Rnd 5, sk dc behind tr, dc in next 2 sts, tr in next sk dc on Rnd 5, sk dc behind tr, dc in next 3 sts, tr in next sk dc on Rnd 5, sk dc behind tr, dc in next 2 dc, tr in next sk dc on Rnd 5, sk dc behind tr, 2 dc next dc, ch 8**, 2 dc next dc] 3 times; Rep * to ** once, join with sl st in top of beg ch – 60 sts, 4 ch-lps. Rnd 8: Ch 3, dc in next dc, [*tr in skipped dc from Rnd 6, sk st behind tr, hdc in next 2 sts, dc in next sk dc on Rnd 6, do NOT sk dc behind, sc in next 5 sts, dc in next sk dc on Rnd 6, sk dc behind tr, hdc in next 2 dc, tr in next sk dc on Rnd 6, do not sk dc, dc next 2 dc, twist next ch-8 sp, (2 sc, ch 1, 2 sc) in twisted ch-8 sp**, dc next 2 dc] 3 times; Rep * to ** once, join with sl st in top of beg ch – 88 sts. Finish off Color D.
Rnd 9: Sk beg ch, join Color E with sl st in next dc, ch 2 (counts as first hdc).,, *hdc in each st across to ch-1 at corner, (2 hdc, ch 1, 2 hdc) in corner ch-1 sp; Rep from * 3 more times, hdc in last 3 sts, join with sl st around beg ch, inserting hook from back to front – 104 sts. Rnd 10: Ch 2 (counts as first dc here and throughout), fpdc around each of next 2 hdc, [bpdc around next 3 hdc, fpdc around next 3 hdc] 2 times, *bpdc around next 3 hdc, fpdc around next 2 hdc, (dc, ch 1, dc) in next corner ch-sp, fpdc around next 2 hdc**, [bpdc around next 3 hdc, fpdc around next 3 hdc] 3 times; Rep from * 2 more times; Rep from * to ** once, bpdc around next 3 hdc, join with sl st around beg ch, inserting hook from back to front – 112 sts. Rnd 11: Ch 2, fpdc around each of next 2 fpdc, [bpdc around next 3 bpdc, fpdc around next 3 fpdc] 2 times, *bpdc around next 3 bpdc, fpdc around next 3 sts, (dc, ch 1, dc) in next corner ch-sp, fpdc around next 3 sts**, [bpdc around next 3 bpdc, fpdc around next 3 fpdc] 3 times; Rep from * 2 more times; Rep from * to ** once, bpdc around next 3 bpdc, join with sl st around beg ch, inserting hook from back to front – 120 sts. Rnd 12: Ch 2, fphdc around each of next 2 fpdc, [bphdc around next 3 bpdc, fphdc around next 3 fpdc] 2 times, *bphdc around next 3 bpdc, fphdc around next 3 fpdc, hdc in top of next dc, fphdc around post of same dc, dc in next corner ch-sp, fphdc around post of next dc, hdc in top of next fpdc, fphdc around post of same fpdc, fphdc around next 2 fpdc**, [bphdc around next 3 bpdc, fphdc around next 3 fpdc] 3 times; Rep from * 2 more times; Rep from * to ** once, bphdc around next 3 bpdc, join with sl st around beg ch, inserting hook from back to front – 128 sts. Finish off Color E.
Rnd 13: Join Color A with sc in next fphdc, ch 1, *sc in each hdc across to dc in corner, (2 sc, ch 1, 2 sc) in corner dc; Rep from * 3 more times, sc in each st across, sc in top of sl st of prev rnd, join with sl st in first sc – 144 sts. Finish off and weave in all ends. 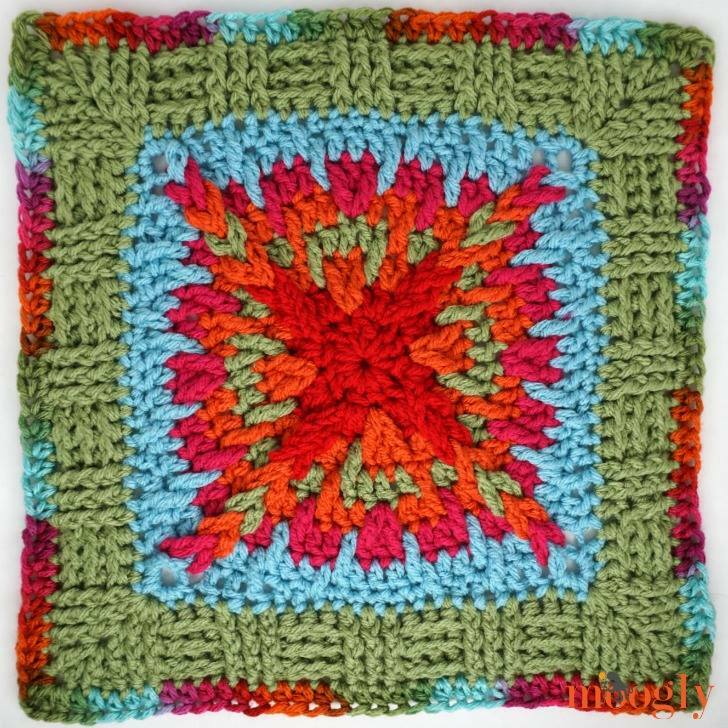 Hope you enjoy making this square as much as I enjoyed designing it. 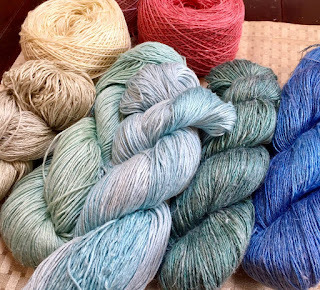 Note that your gauge may vary, and you can always work a taller stitch like half double or double crochet in the final round, or even add a second round of single crochets. 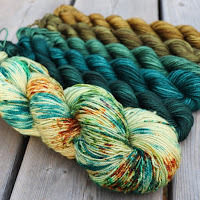 If you prefer reading a diagram to a written pattern, I will be adding a stitch diagram when I upload the printer-friendly version of the pattern to Ravelry. Enjoy! 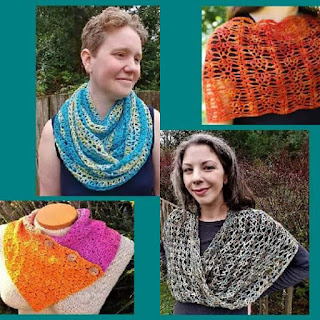 My Patterns are featured in Ficstitches Yarns Crochet Kit Clubs. Preorders are Open This Month! © 2018, Designed by Laurinda Reddig aka ReCrochetions. All Rights Reserved. This design, the pattern, and the images are property of ReCrochetions. You may use this pattern for personal use and charity. 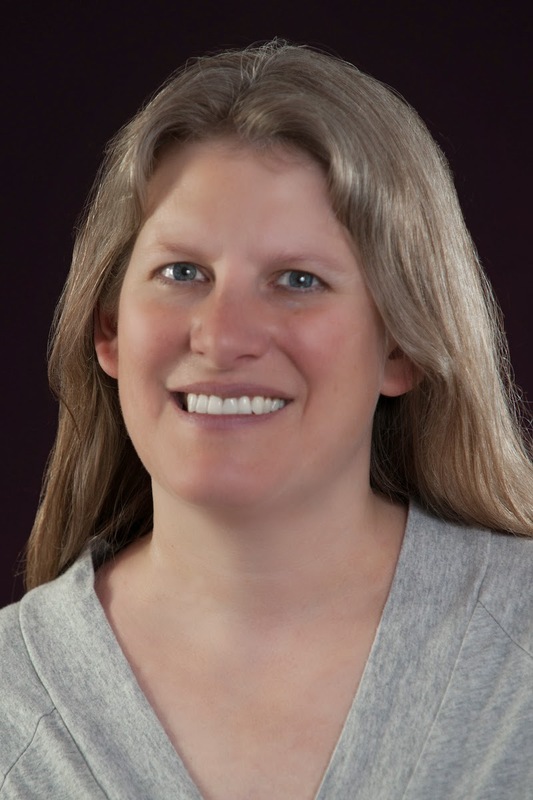 No part of this document may be reproduced, altered, or distributed in any form, or by any means, without express written permission from Laurinda Reddig.